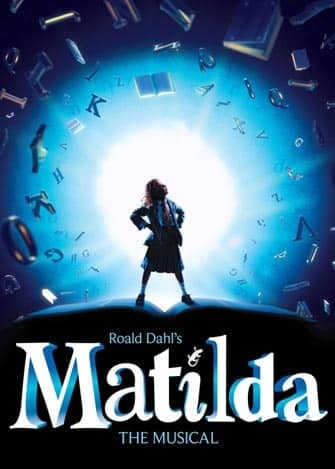 Matilda on Broadway tickets can be bought online easily and safely. I recommend buying your theatre tickets before you go to New York to save time and money. 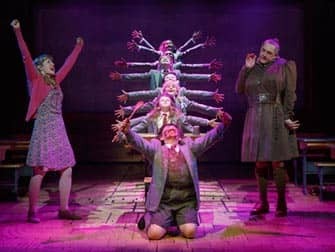 Matilda the musical on Broadway is a witty family musical that successfully brings Roald Dahl’s eponymous children’s novel to life. 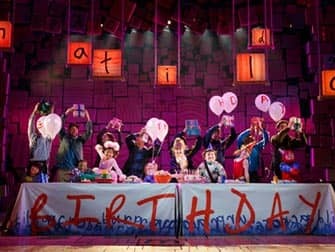 With music written by comedian Tim Minchin, it tells the story of Matilda, the 5-year-old bookworm with an incredibly high IQ, and very mean parents. Not to mention an even meaner headmistress. What makes the musical so appealing is that it’s a tale of empowerment – you feel compelled to root for Matilda as well as the other children. 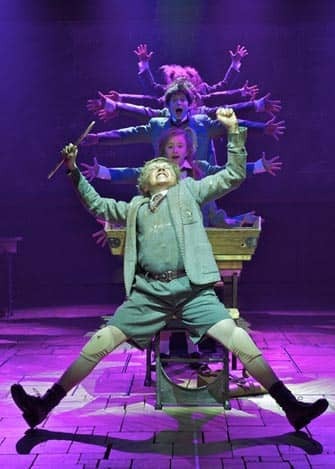 So when Matilda sings the words “Even if you’re little, you can do a lot, you / Mustn’t let a little thing like, ‘little’ stop you”, not only do you want to sing along, but you want to help her beat the big bad bully – Miss Trunchbull. You can enjoy Matilda at the Sam S Shubert Theatre. Matilda was born into a family that had wished she had been a boy. Her parents, Mr. and Mrs. Wormwood (a used car salesman and ballroom dancer respectively), not only take great joy in calling her names but they all but prohibit her from reading books. They believe she should be watching TV instead of reading Dostoyevsky. But Matilda loves reading books. She uses them, and her imagination, to escape her own reality. It’s only when she meets Miss Honey, a delicate but lonely school teacher, does she finally find a true, loving, mentor. Little does Miss Honey know that she too can learn a lot from ‘little’ Matilda. Of course, it’s only a great story when there is a villain that needs to be defeated. Miss Trunchbull is that kind of villain, who’s motto is “Bambinatum est maggitum” (“Children are maggots”). The former hammer-throwing champion terrorises the schoolchildren and Miss Honey and believes Matilda is up to no good. The musical on Broadway is a transfer of the 7-time Olivier Award winning British musical. Surprisingly, it has not been adapted for American audiences. With a few exceptions, the Broadway musical is as full of British humour as West End counterpart. This includes men in drag and making fun of the horror of public schools. Regardless, Matilda the musical is entertaining and a lot of fun for young and old. How to buy Matilda on Broadway Tickets? Eric’s Tip: Having read Roald Dahl’s book is a great help, but you’ll have plenty of fun if you don’t as the musical is easy to follow. Something that might be a little difficult though is the heavy English accents. Because the musical is very fast-paced, it’s sometimes hard to understand all of the lyrics. It shouldn’t deter you from going though! The musical is too much fun to miss.